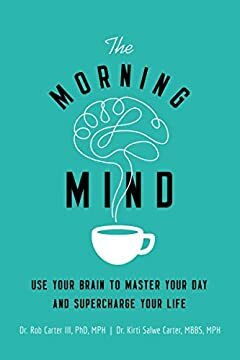 Unleash positive thinking and productive imagination, and flip negative thoughts and behaviors into a lifetime to improve every aspect of your lifeâ€”each morning, one day at a time. Bad habits. Bad feelings. Bad mornings that turn into regrettable days. Banish them all with simple brain hacks that flip negative thoughts and behaviors into positive, productive ones. Instead of dragging through your day, learn to wake up refreshed, recharge regularly, and live better than ever. The Morning MindÂ makes it easy. Based on findings from neuroscience and medicine, the book helps you tamp down on the fear-driven reptile brain and tap into the part linked to thinking and imagination. From the moment the alarm clock rings,Â The Morning MindÂ helps you greet each day with gusto.